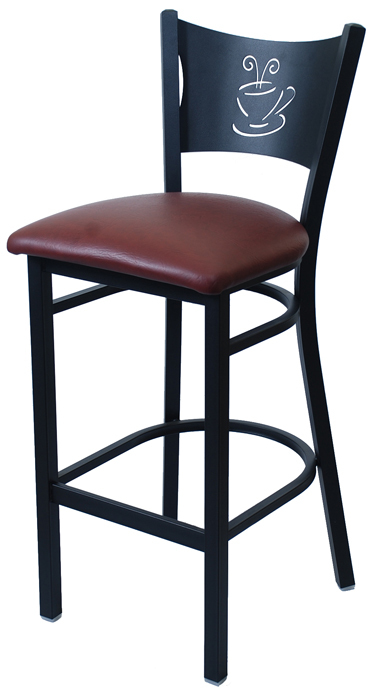 The Coffee Cup bar stool will fit perfectly in a coffee shop or a restaurant. All Metal bar stools are constructed with a fully welded frame and comes with an upholstered or solid wood seat*. The frame finish is powder coated and comes with plastic gliders.